Dread Falls Theatre is set to preview their new immersive performance piece, Father Dagon, inspired by the works of H. P. Lovecraft, the literary figure often cited as being the father of modern horror. The show, written by director Victoria Snaith, will place audience members in a stream of intertwining tales told through the company’s combination of physical storytelling, spoken word, and live music. The performance will also feature live, improvised music that will accent the actor’s movements, specifically music performed on unusual and homemade instruments, the sounds of which will add to the unfamiliarity of the surroundings for the audience. Dread Falls Theatre intends to bring awareness of Lovecraft’s writings to the show-goers beyond the stage as well by inviting prominent UK and international gallery artists to display their Lovecraft influenced works in the bar at the venue. Dread Falls Theatre hopes to expand the work next year to include a larger cast, upgraded set, and longer run. 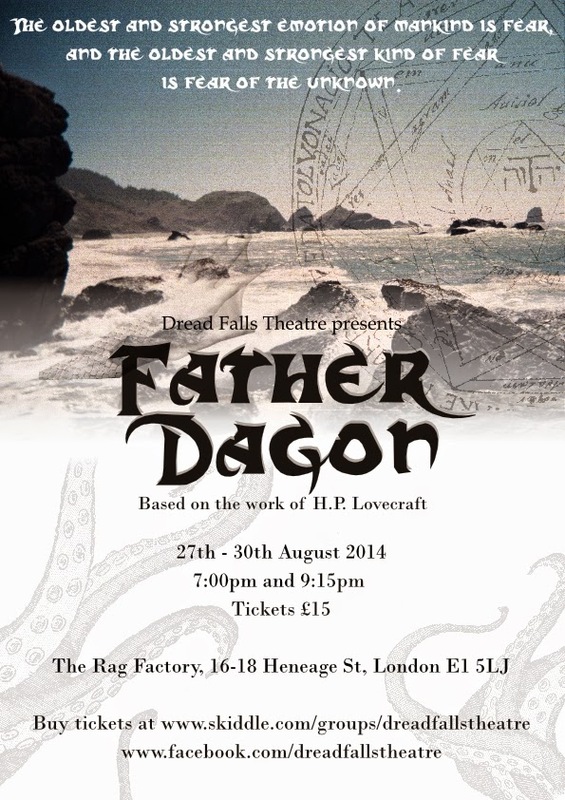 For this preview, Father Dagon will run from the 27th through the 30th of August at East London’s Rag Factory, 16-18 Henegae Street, E1 5LJ. Tickets and more information are available at the Father Dagon event page here: http://www.facebook.com/events/682555195145213.